The Government’s Bedroom Tax is failing to deliver on the promises of the Conservative-led Coalition, according to Alex Cunningham, and now the Government’s efforts to defend this cruel and unfair policy are failing. During a vote in the House of Commons today, the Stockton North MP and Labour colleagues were joined in the lobbies by the Liberal Democrats as the junior Coalition partners voted against their own policy in Parliament. Since 2013, the Bedroom Tax has seen an average of £700 per year taken away from half a million low-income households who rely on this support. Two-thirds of those affected have disabilities while 60,000 act as carers. And the Government’s own independent evaluation recently reported that just 4.5 per cent of affected tenants have been able to move to smaller accommodation within the social sector. The policy unfairly hits hundreds of thousands of vulnerable people and threatens to cost more than it saves. In the North East alone, 36,986 have been affected by the Bedroom Tax, and 60 per cent of affected tenants nationally found themselves in arrears after just six months as many struggle to cope and strive to make ends meet. “I am glad that the Liberal Democrats voted with us today to condemn this dreadful policy. Sadly, the vote comes too late for the thousands of people who have been forced into debt as a result of the Bedroom Tax, and the thousands more who have been forced to rely on food banks to survive. “Despite recent backtracking, it is important we remember that the Liberal Democrats have repeatedly joined forces with the Conservative-led Government to keep the Bedroom Tax in place and resist any attempt to protect people from its harsh consequences. 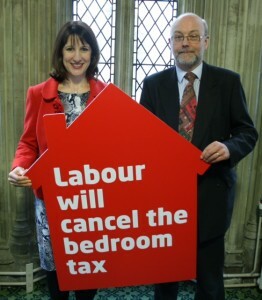 “Unfortunately, this vote will not abolish the Bedroom Tax, as Labour will do if elected next year, but it is a step in the right direction and offers a glimmer of hope for many.